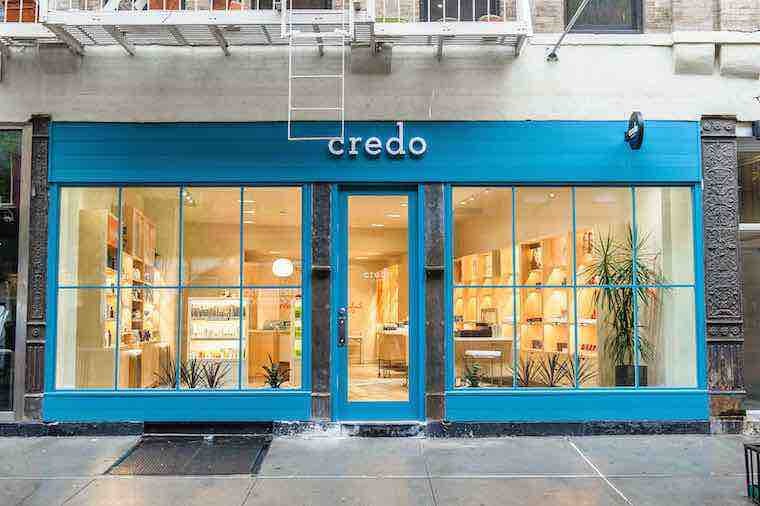 When the founders of Credo, a beauty boutique that opened in New York last week, were planning how the store should look, they checked out other green spaces — ones that sold, say, yoga mats made of recycled rubber — and thought a lot about the differences between a Tesla and a Prius. What Credo, a Sephora-like one-stop shop that opened its first outpost in San Francisco last June, is selling is face creams and eyeliners from companies that don’t use any of the ingredients it says are harmful, like formaldehyde or parabens. The list bans 23 groups of ingredients, like animal products and phthalates, a class of plasticizing chemicals. Shashi Batra, the founder and chief executive, who once worked at Sephora, often cites the statistic that Europe has banned 1,400 cosmetic ingredients, while the United States forbids only 11. But what Credo is really selling is the idea of switching up your beauty routine to one that seems healthier in a way that won’t take you far out of your comfort zone, much as Whole Foods did with groceries or Gwyneth Paltrow does with everything. This is the kind of wellness aimed at those who recycle their Nespresso pods. In general, when it comes to knowing if what is in your moisturizing balm is bad for you, it’s a murky, marketing-driven world. The Food and Drug Administration oversees only certain topical products like sunscreen, and other than requiring that labels don’t misstate benefits, it lets the beauty industry regulate itself. 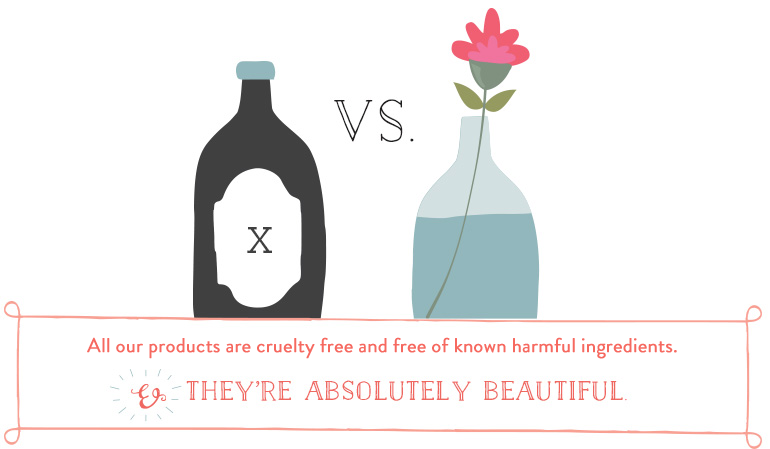 Words like natural, nontoxic and safe have no official or legal meaning when it comes to cosmetic labeling, and dermatologists routinely caution that people can be allergic to any ingredient, natural or not. The new store, at 9 Prince Street in NoLIta, is marked by a bright blue storefront, with windows big enough to please any exhibitionist. In the airy, whitewashed space, blond-wood display cases are stocked with artisanal products, all with sleek logos and modern wrapping — skin care on one side of the store, makeup on the other. Nothing is made of hemp. 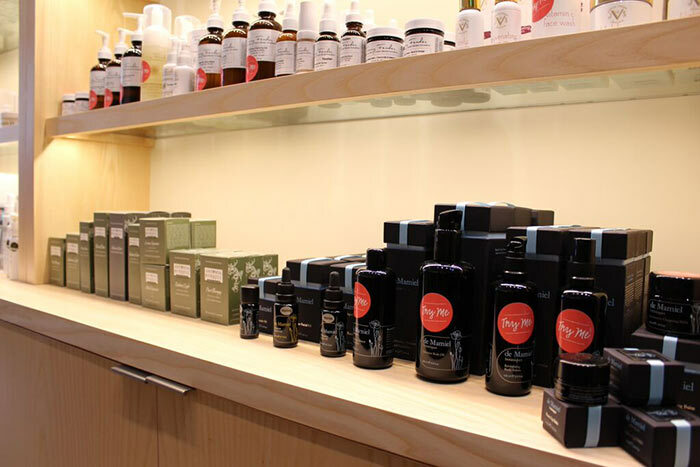 The store’s skin-care products can be found on one side, cosmetics on the other. Some brands tend to have personal back stories, like Suntegrity Skincare, a line of plant-derived sunscreen that was developed after the founder’s mother died from skin cancer. The green skin-care doyenne Tata Harper’s line is front and center, and there are hard-to-find natural products like gel eyeliners (made by Evelyn Iona) and roll-on deodorants (from True Organic of Sweden). Credo also carries kohl eyeliners and glossy eye shadows by the makeup artist Jillian Dempsey (she’s planning to sculpt a display case for the products herself). “We don’t spend a lot of time going off on a tangent about why it’s good for you,” Mr. Batra said. “You just come in, say you want a good moisturizer and SPF, and we get you a good moisturizer and SPF.” The store also offers brow waxing, mini facials and makeup touch ups.